Orange has announced a deal with Wikimedia, the organisation behind Wikipedia, to provide access on its site to the popular online web encyclopaedia. 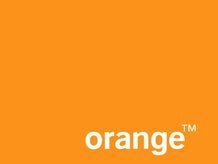 Orange, which claims to have 55 million unique users a month to its web portal, will begin by rolling out 'co-branded' content with the Wikimedia foundation to customers in France, UK, Spain and Poland. This will mean the creation of Wikipedia channels on both Orange mobile phones and the web, as well as adding Wikipedia content and links to sections of the Orange website. The two companies will also be developing mobile and web widgets for direct access to Wikipedia. After that has been rolled out, phase two of the agreement will see new services, co-branded between the two, offered over the internet, mobile and new Orange TV platform, as well as extending the deal to other countries in the Orange network, although details on when this next phase will be happening are sketchy. However, given that the content is crowd-sourced, it will likely bring up questions on validity on many of the articles, especially the more niche ones, when placed next to a valid news source.